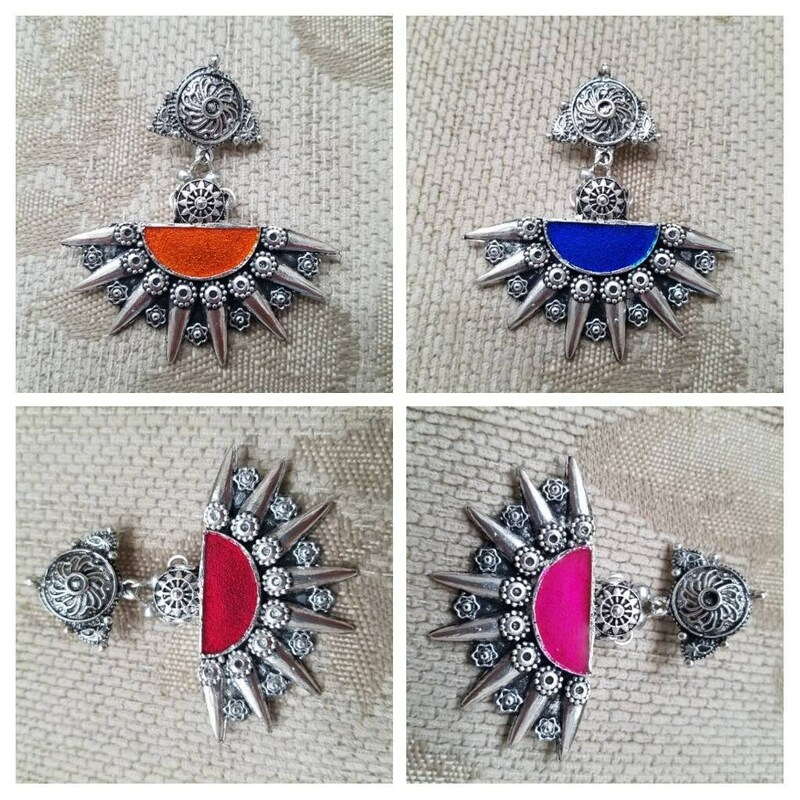 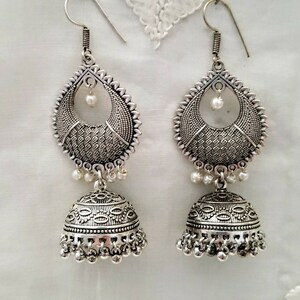 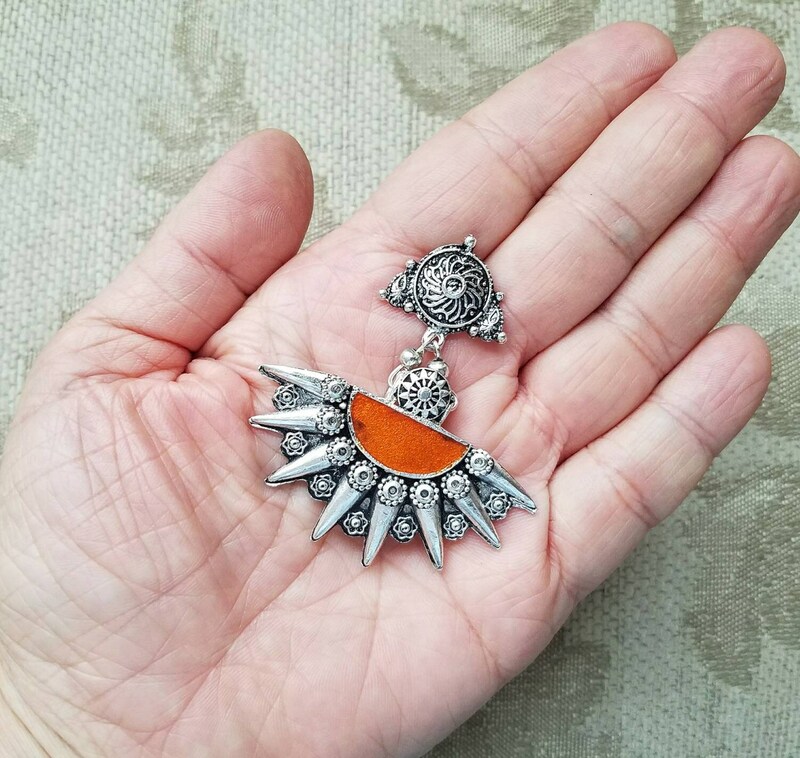 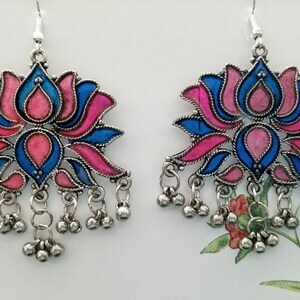 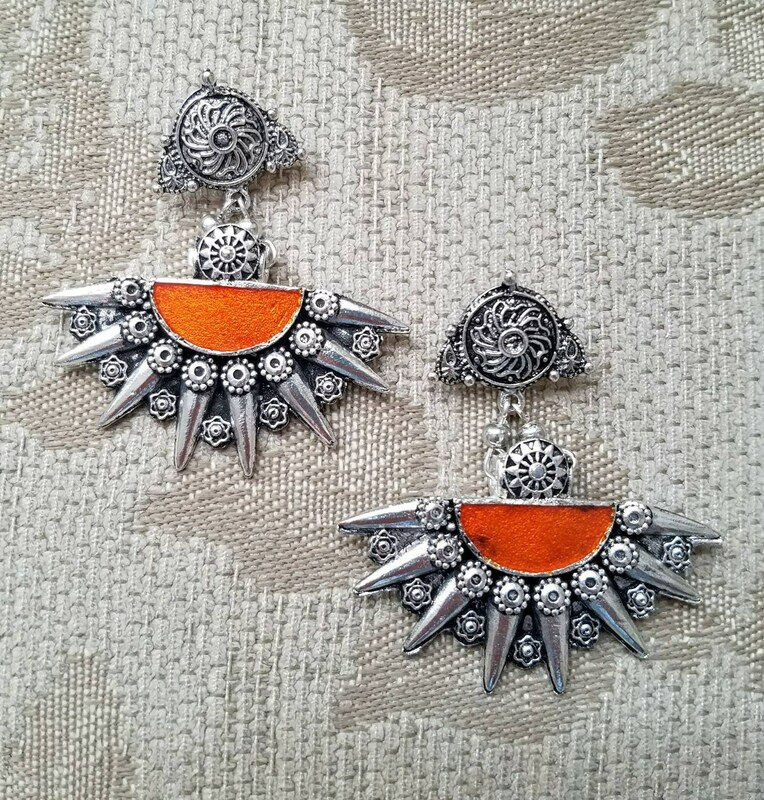 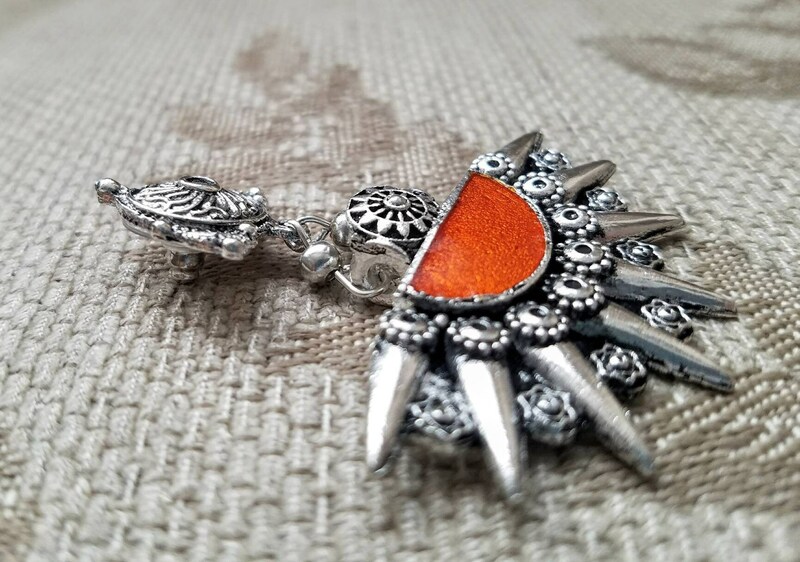 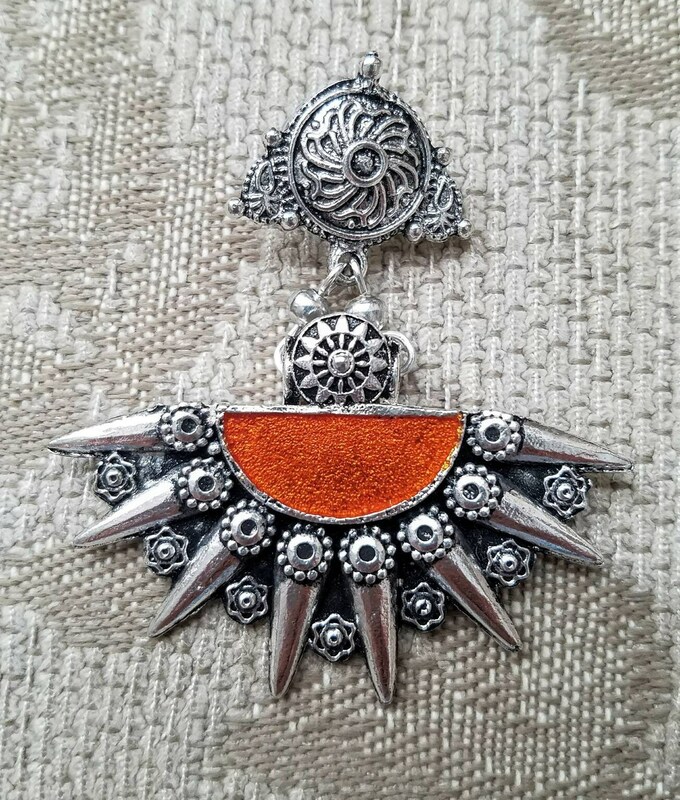 Vibrant orange hand crafted Indian earrings in a starburst pattern and mandala pattern in oxidized silver, so as to create the patina of a vintage tribal piece. 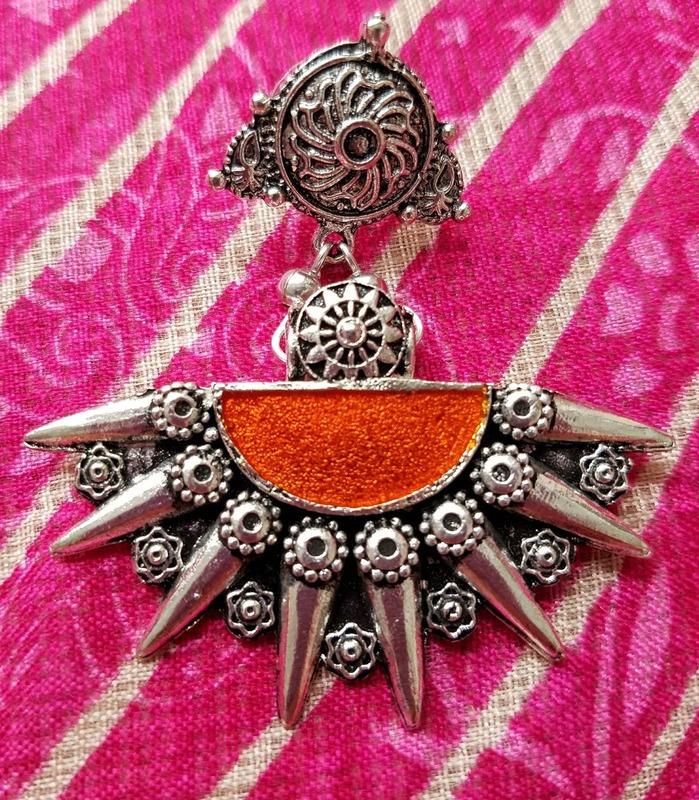 Stand out with an original and interesting design! 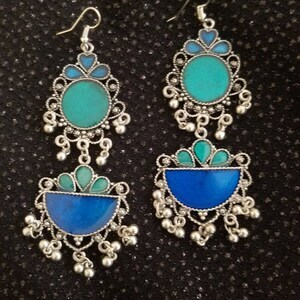 Perfect for summer with an open collar shirt or sun dress. 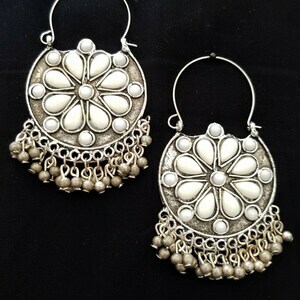 Great with jeans.